Given that Mr. Imus spent part of last week describing the student athletes at Rutgers as “nappy-headed hos,” you might think he’d have trouble booking anyone, let alone A-list establishment names. 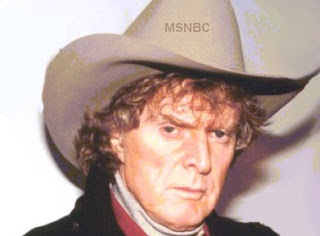 But Mr. Imus, who has been given a pass for this sort of comment in the past, also generously provides airtime to those parts of the news media and political apparatus that would generally be expected to bring him to account. Mr. Imus’s comment about the Rutgers team last week was not just, as they say, over the line — you can’t even see the line from where he landed. It was not a gaffe, a slip of the tongue, a joke in poor taste. (Nor was the on-air comment to Mr. Imus by the show’s longtime producer, Bernard McGuirk, calling the women’s final the “Jigaboos vs. the Wannabees,” in a bad attempt to borrow a phrase from a Spike Lee movie.) Mr. Imus’s slur was the kind of unalloyed racial insult that might not have passed muster on a low-watt AM station in the Jim Crow South. 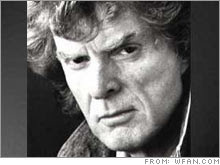 Did you hear the latest example of Don Imus’ utter lack of social graces? First the dude wears a cowboy hat around like he’s freaking John Wayne—or, I guess Gene Wilder from Blazing Saddles would be more appropriate—and then he somehow manages to wrangle a job on talk radio despite being less coherent than Mushmouth from the old Fat Albert cartoon. Now Don Imus has the gall or balls or gumption or stupidity to refer to African-African members of a college basketball teams as “nappy headed hos” on air. Since the only people who actually listen to Don Imus are NASCAR-watching, beer-swilling, gun-totin’, Bush-voting walking lobotomy patients, I can only assume that he thought nobody with more than half a brain left in his head would hear this terminology and be offended. NEW YORK -- Even as he scheduled an on-air meeting with radio host Don Imus, the Rev. Al Sharpton said he still wants Imus fired for his racially charged comments about the Rutgers University women's basketball team. Sharpton said Sunday he intends to complain to the Federal Communications Commission about the matter. "Somewhere we must draw the line in what is tolerable in mainstream media," he said. "We cannot keep going through offending us and then apologizing and then acting like it never happened. Somewhere we've got to stop this." Sharpton and MSNBC announced that Imus would appear Monday on Sharpton's nationally syndicated program. Meanwhile, the Rev. Jesse Jackson planned a protest in Chicago, and an NAACP official called for Imus' resignation or firing.